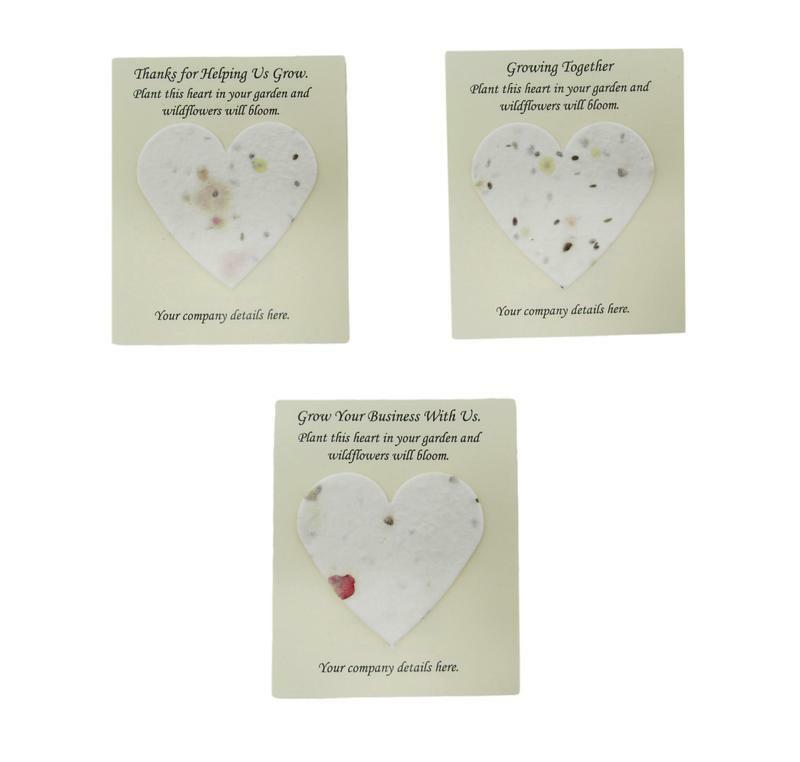 Wildflower seed paper stationery products are a delightful, beautiful stationery gift for use by funeral professionals, bereaved families, brides and grooms, event organisers, charities and veterinary practices – anyone wishing to send a personal message with a thoughtful, plantable gift. Since 2011 Shaw's have been supplying seed paper tokens and bookmarks to the funeral trade (via our Shaw's Funeral Products website) but following client feedback we have now expanded the range so that other individuals and organisations can use them for their own purposes. Click here to view the dedicated section on the Shaw's site which shows the many uses for seed paper stationery. Tokens and bookmarks consist of a backing card with wording/verse and full planting instructions printed on the reverse. 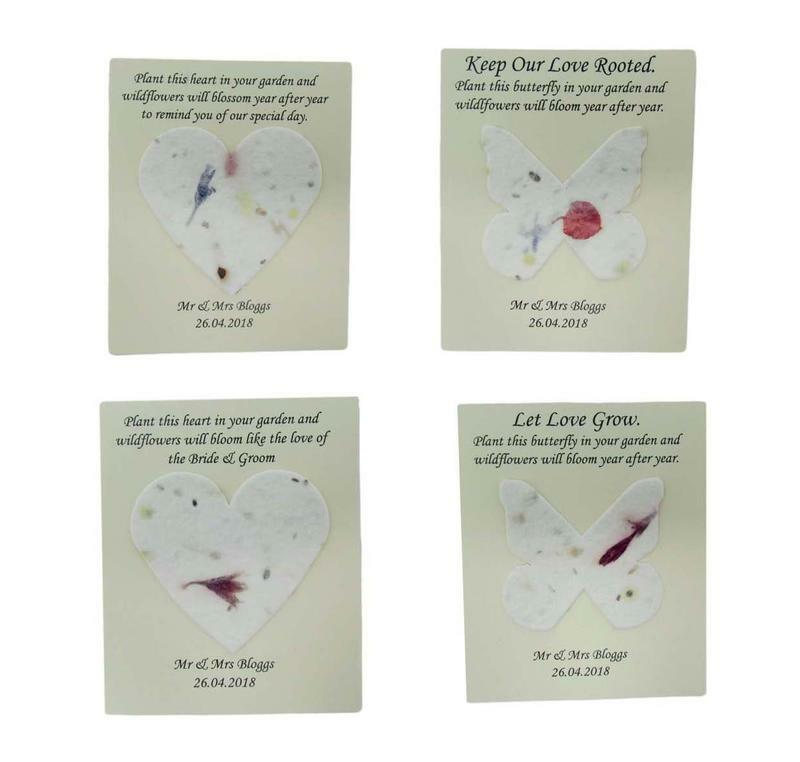 Decorating the face of the card are detachable adornments - available in the shape of hearts and butterflies – which can be planted to grow and blossom into beautiful wildflowers, creating a lasting reminder of a person, event or message, etc. Both the tokens and the bookmarks can be customised to the face (with company details and personal messages, a service which is free of charge on all orders of 200 or more), thus turning a thoughtful stationery gift into a subtle yet effective business card or favour. Company details, messages and logos can also be printed on the reverse of the card at additional cost. Offer your personalised tokens and bookmarks to your event attendees and you will ensure that your message stays with them long after. Adornments are crafted using cotton fibre, petals and 12 varieties of British wildflower seeds. Please watch this video to see how the paper used to create the adornments is made.